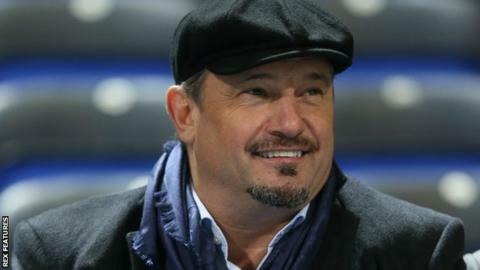 Bolton Wanderers have given preferred bidder status to former striker Dean Holdsworth's Sports Shield consortium, reports BBC Radio Manchester. Holdsworth, 47, beat takeover offers from banker Roger Tamraz and Bolton Wanderers Supporters' Trust. The club, owned by Eddie Davies, are £172.9m in debt and have been trying to find a buyer for a number of months. The Championship strugglers are scheduled in the High Court on Monday over a £3m unpaid tax bill. It is hoped the takeover will soon be completed as Wanderers must let the High Court know by 19 February if they are going to enter administration, and also prove they have funds to continue trading. Former Wimbledon and Brentford forward Holdsworth spent six seasons at Bolton, scoring 52 goals in 188 appearances. BBC Radio Manchester also understands the sale of the Trotters' training ground at Euxton has yet to be finalised, with League One side Wigan making an approach.